Tags: horizontal bar, pendant necklace. 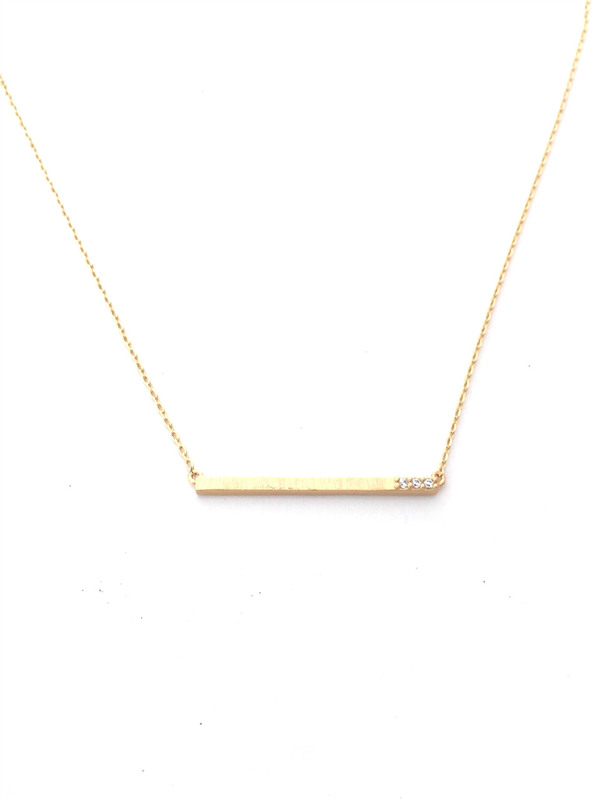 Our Horizonal Bar Necklace is low key and versatile. The three tiny rhinestones add a touch of sparkle, for that extra oomph. 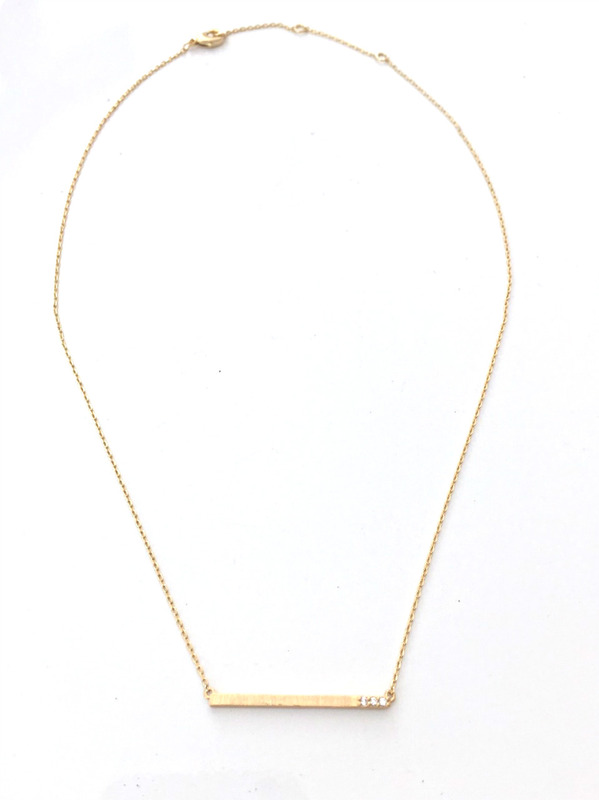 It’s a perfect everyday staple to any outfit. Available in both gold and silver plated options.